Hi there! It's Suzanne here with another quickie card I created. I've been wanting to use the pearl flourish with the heart for a while and I finally found a good opportunity. I hope you like it! Best Glue Ever - for securing the flowers - sticky! very sticky! I used Distress Old Paper for the shading. The tiny flowers are from the Spellbinders Whimsy set (link below with photo) and I touched up the tips with Gesso and a small brush. The little curliques beside the flowers were made with the "negative" part of the flower after it is die cut. 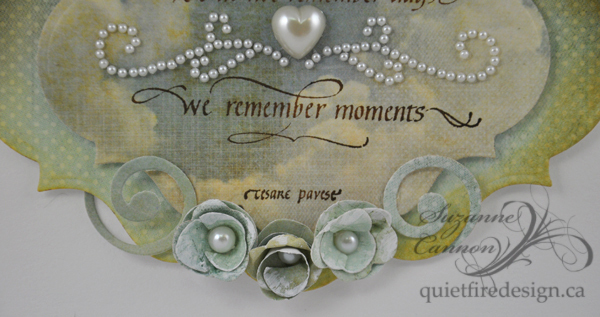 I'm pretty excited to be making my first post for Quietfire Design and want to thank Suzanne for this fabulous opportunity. I've created a lovely card using Happy Family Days from the Summer 2012 Release. 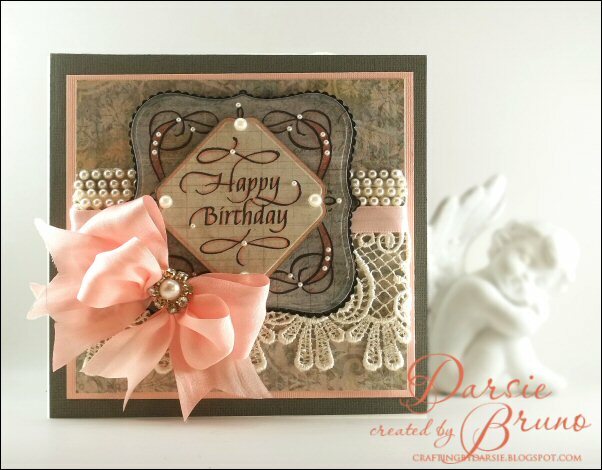 I love that this set with Calligraphic Frame coordinates with Spellbinders™ Labels One dies.What a fabulous collection of stamps included with this release!! Please take a moment to stop by my blog to see all the project supplies! Good Afternoon, my friends! 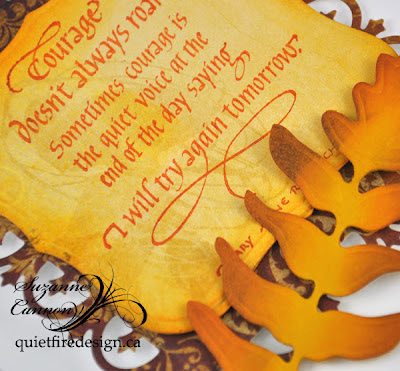 It's Suzanne here with my first offering from the new Quietfire Rubber stamps! I went with simple. It seemed safest! This is a 5x7 card, using my close-at-hand Cardblanks. The paper is Bo Bunny Weekend Market except for the leaf which is a coordinating colour of cardstock. 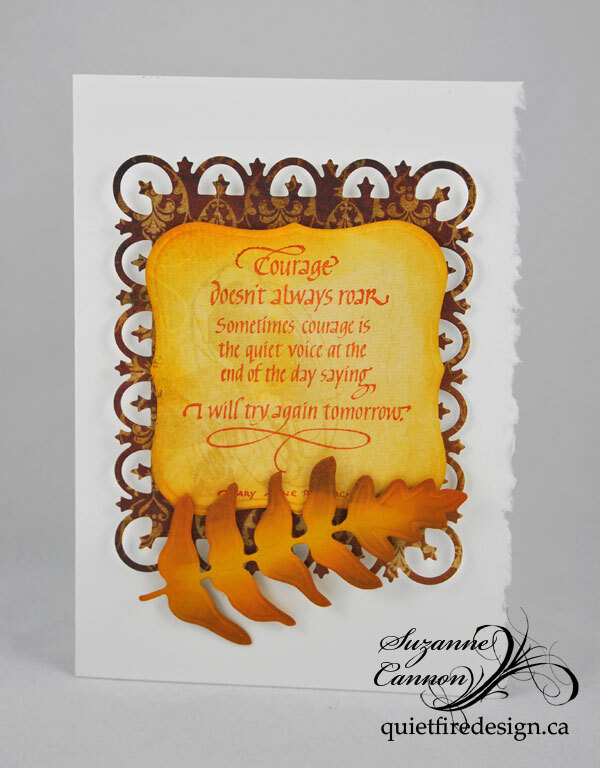 I stamped Courage Doesn't Always Roar (unavailable at this time) with Ranger Adirondack Pigment Terra Cotta and shaded with the Terra Cotta, Adirondack Espresso and Distress Wild Honey. I'd like to take this opportunity to introduce you to our Design Team members who will be playing with us until at least the end of the year. I am so lucky (and I have to admit, sometimes intimidated) to be with this amazingly talented group of Designers!! This is just a quick intro, there will be more in-depth features coming soon! 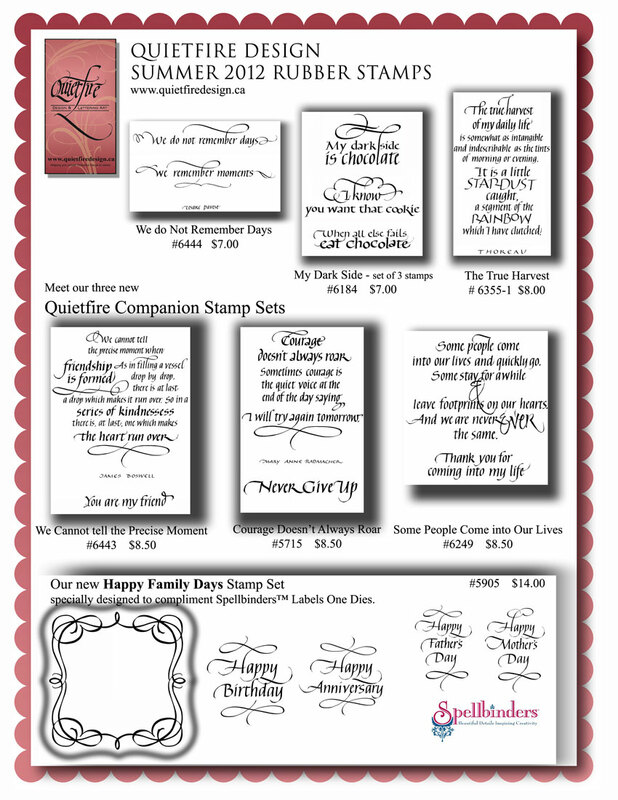 Yogi has been designing with Quietfire rubber stamps for a loooonnggggg time! We are fellow calligraphers and have had the pleasure of meeting a number of times when I've been in Calgary. In a workshop, Yogi's part of the room is always quiet, but wow, there is a flurry of activity happening in front of her. I think she can't work as fast as her brain can design! You may find her ever-changing styles and techniques posted regularly her blog, Art With Yogi. There is never a dull moment with Yogi! Monica, gee, we go back a long way! Cyberstampers! You found me and began using my stamps in online classes. You helped me "grow up"! Monica has beautiful colour sense and loves experimenting. We all need to encourage her to share more! 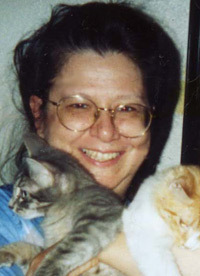 You may visit Monica's blog at Black Cats Color Trails. Robyn has been in my life for quite some time - before she moved to her beautiful North Carolina mountains! If you need an idea or suggestion, throw it Robyn's way. It's amazing what will come back to you. Her minds works in all sorts of wonderful ways and of course, it shows in her art! 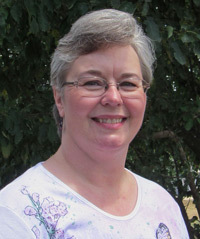 You may visit Robyn's blog at Rainbow Weaves. Wanda, gee what can I say? You make great art! Wonderful colour, wonderful ideas. You are another gift to me from Cyberstampers. 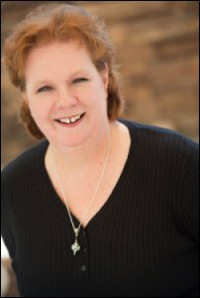 You are my go-to person for Tim Holtz product questions! You never fail to inspire me when I go back through photos of your designs. I will always welcome you to the Design Team when you're able. You may see Wanda's blog at Art by Wanda. And welcome to our new Designers shown below! I love all of their work. As with our "old" (sorry, guys) Designers, you'll be treated to lots of variety with these ladies. I look forward to getting to know them much better! Holly loves experimenting with techniques and combining elements in a different way than you might expect! 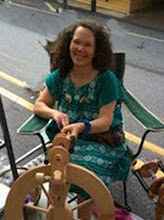 Holly is our current Guest Designer and her sweetie of a project can be seen here. You may visit her blog Eastyart here! I loved Sherry from the first time I visited the blog of "Her Royal Badness". What's not to like?! 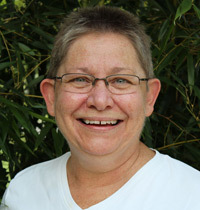 I had the pleasure of meeting Sherry at CHA in January and I assure you, she is not bad! I love Sherry's designs and that she resists going with the flow in her creations. You may visit Sherry's blog at Walkin' on the Bad Side. Darsie's artwork has an elegant touch that pulled me in immediately. Need I say more? 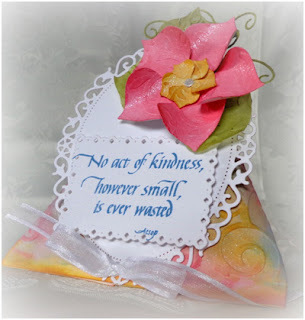 Just visit Darsie's Crafting with Darsie blog and you'll immediately understand what I mean! When I see Terre's work, I always get the impression that she has merely opened the tap to let out a drop of her creativity and if the floodgates open, we better stand back! Terre must have the creative part of her brain on "Go! ", so that when she gets time, it all comes together with amazing variety and creativity. I've had the pleasure of meeting Terre at CHA twice and she is wonderfully kind and patient when I have my retailer's cap on. You may visit Terre's blog Terre's Scrap Therapy here. I don't know about you, but I can hardly wait to see what these ladies will create! Thanks so much for being here! We're so please to release our new rubber stamps!! Here they are! To see them individually and to order, click here. We hope to have lots of artwork featuring these designs over the next few weeks. Check our Facebook page for regular updates. Thanks for looking! Welcome to the brand new Quietfire Creations Blog where you will see the creations our talented designers have made to lift your spirits and make you want to play along! Our very first post is to direct you to this delightful little project. Here is our Guest Designer Holly Eastabrook's gorgeous creation. Read the instructions and see all the supplies for making gift twists in our Project Gallery! Just click here to go to the project.